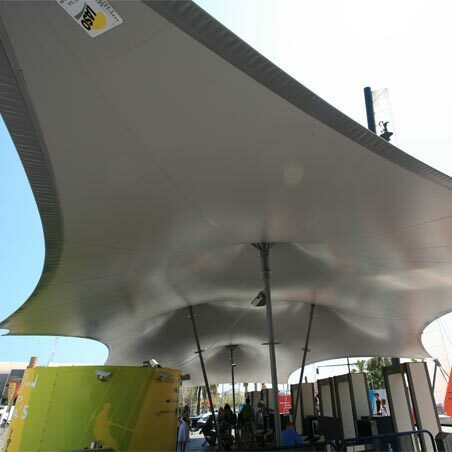 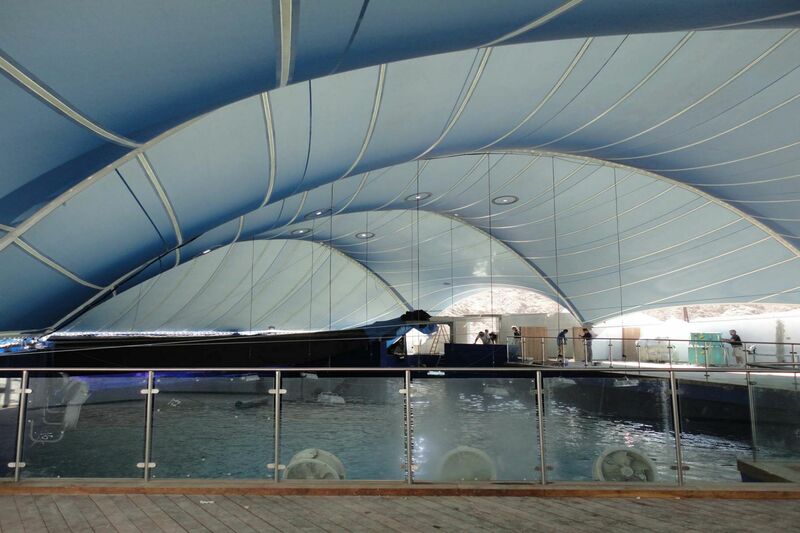 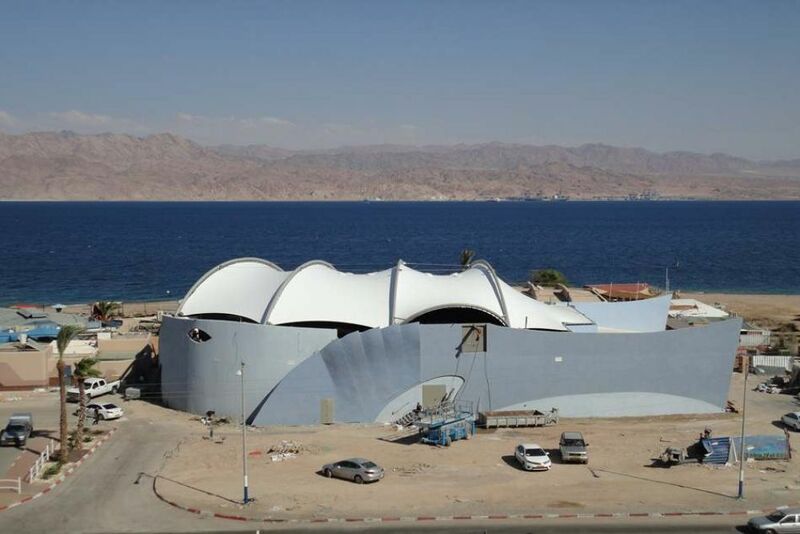 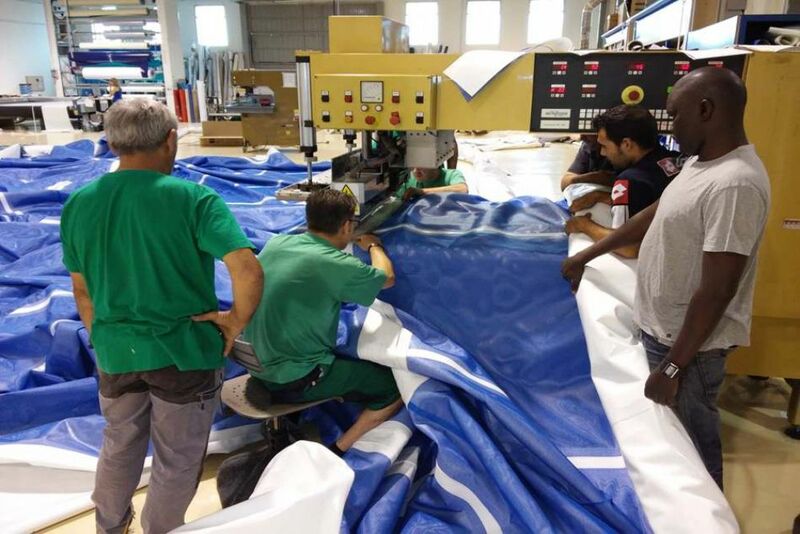 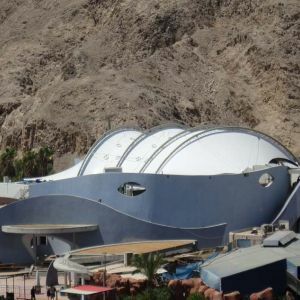 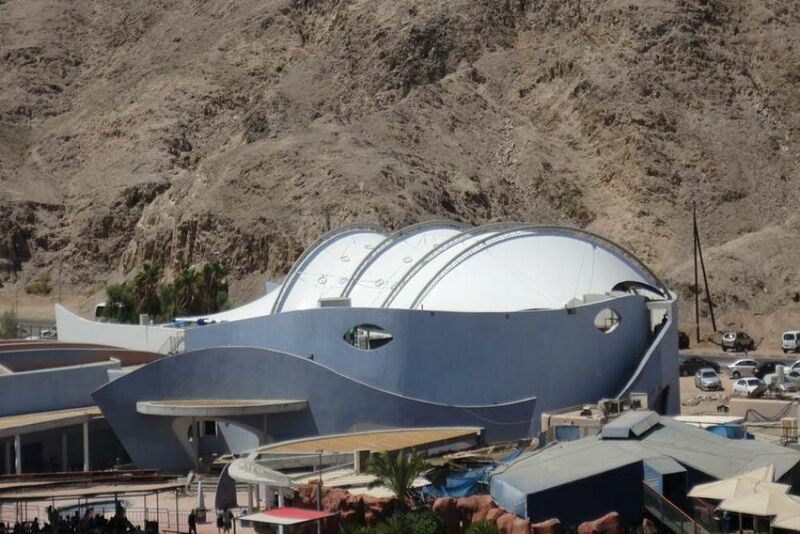 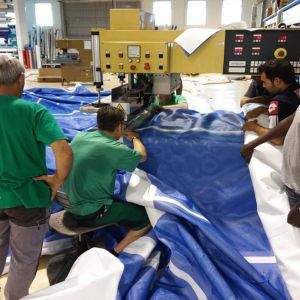 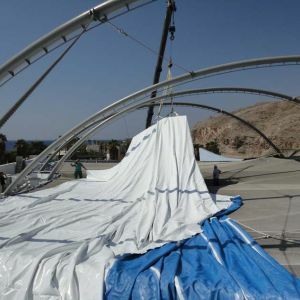 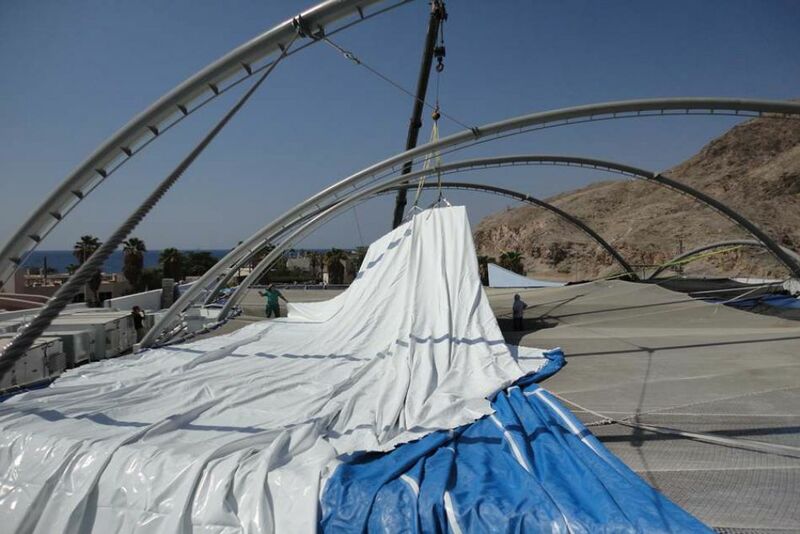 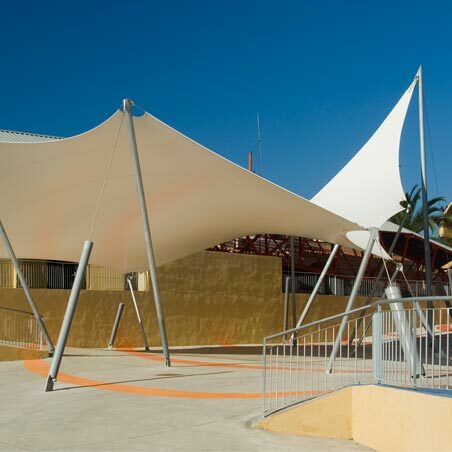 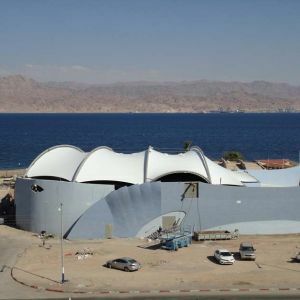 Tensile membrane for the shark tank at the Coral World aquarium in Eilat, Israel. 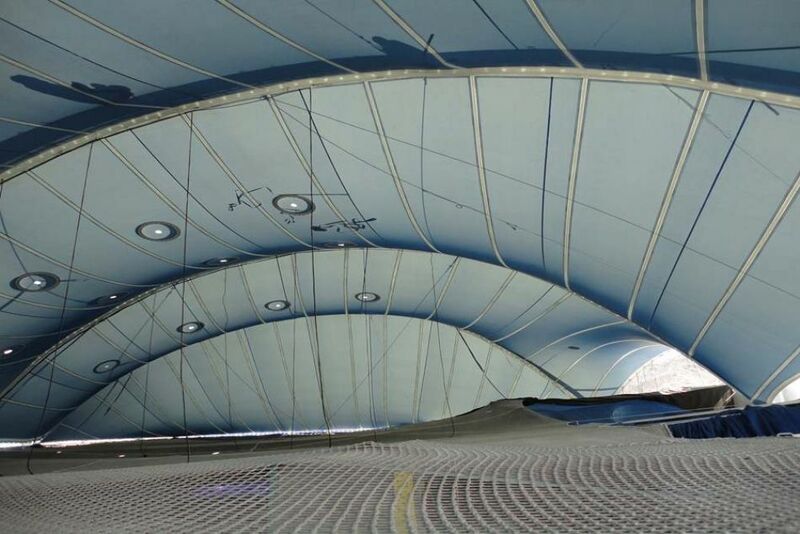 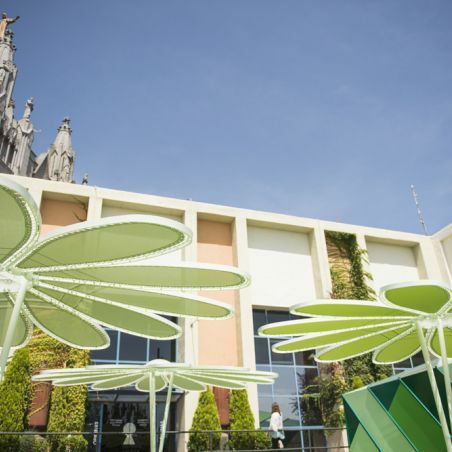 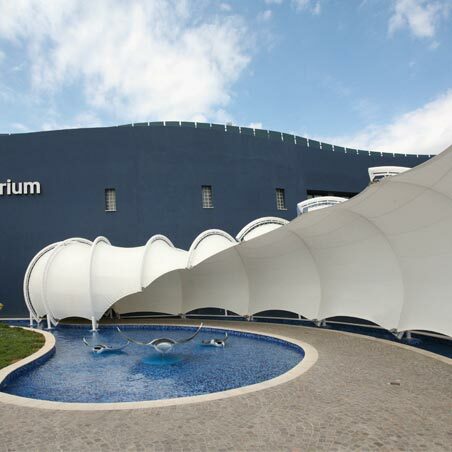 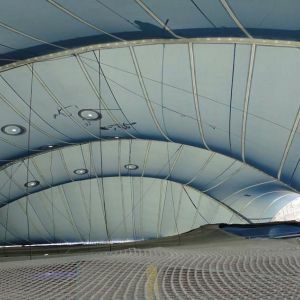 The membrane is suspended from metallic arches, and incorporates a second blue mesh fabric on its inside. 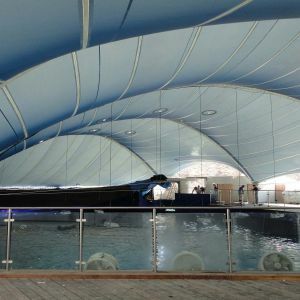 Additionally, the roof has a series of holes that allow for natural light to enter, necessary for the species that live inside of it.